Try this salmon loaf. It's gluten free, low carb and crazy delicious. Low carb salmon loaf. Was that even possible, I wondered. 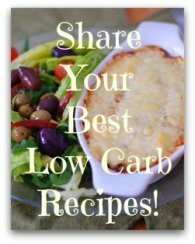 I loved my old recipe but since going low carb a few years back I didn't give it much thought. Except that every time I looked in the pantry and saw those tins of wild salmon my taste buds would go crazy. So I decided I needed to overhaul my old favorite. It took a few tries until I got the texture as close as possible without losing the flavor. And I've nailed it. And my husband wholeheartedly agrees! Wild salmon is such a nutritious part of a healthy low carb diet. In a large bowl, combine the almond flour with the salmon liquid and let rest for 5 minutes. In a small bowl add the salmon. Mash the bones and skin . Add the salmon to the almond mixture along with the lemon juice, the eggs and spices. Mix thoroughly. 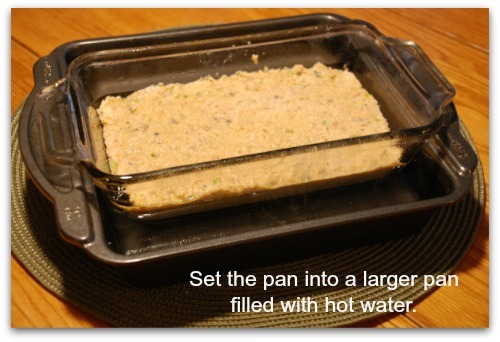 Grease a 9 x 5 loaf pan and pack the salmon mixture firmly. Set the pan into a larger pan. Add enough hot water to come up at least half way up the salmon dish. Bake for 1 hour to 1-1/4 hour on the middle rack. The loaf will become golden on top and feel firm to the touch. Remove it from the oven and tent it loosely with foil to rest for 5 minutes before cutting. Use a serrated knife to cut into 8 even slices, serving 2 slices per person. 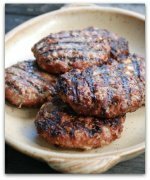 Serve with lemon juice or home made tartar sauce. 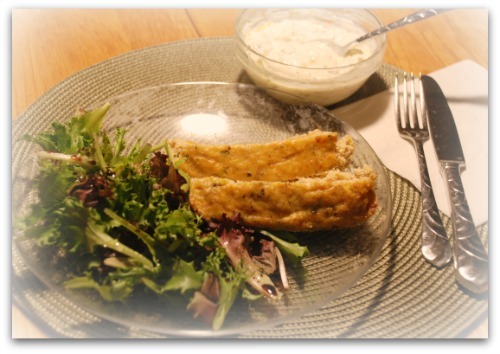 Refrigerate any leftovers to make the best fish sticks for lunch or dinner tomorrow!! Oh, and if you're curious about the nutritional value of salmon, you may find this article interesting. I had a wonderful time doing research. 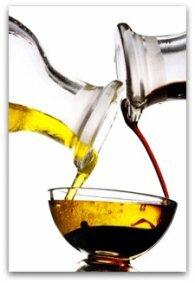 I really love getting in there and learning all I can about the foods I love. Like the fact that salmon is rich in Omega-3 fatty acids, which makes it really good to eat frequently in a low carb diet. Lets go back to the HOME page from Salmon Loaf.